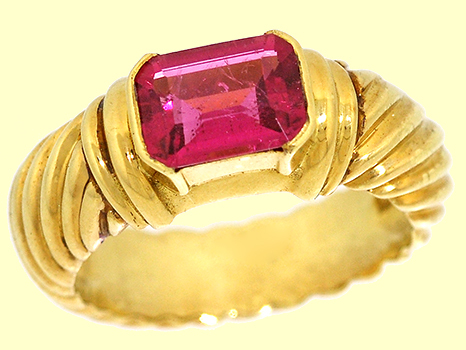 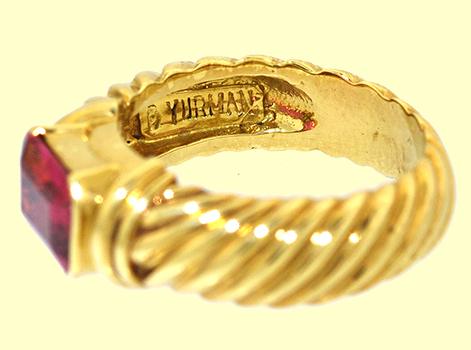 Lady's 14K Yellow Gold David Yurman Tourmaline Ring. 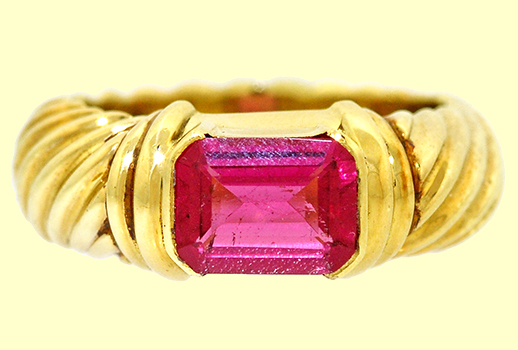 1 Emerald Cut Natural Pink Tourmaline. 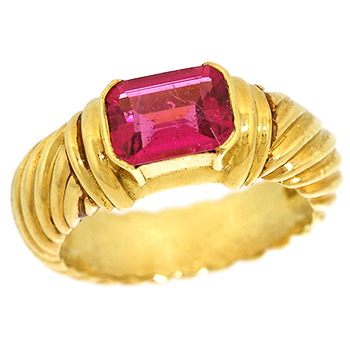 This ring comes from the David Yurman "Cable Couture" Collection and is fitted with a rectangular cut Pink Tourmaline. 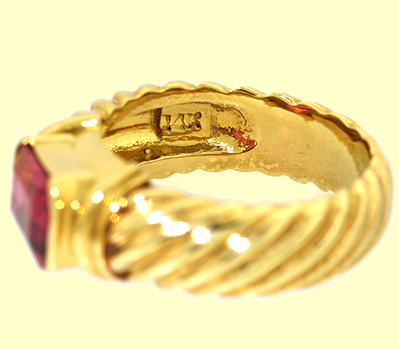 We were told that this ring retails for somewhere in the area of $2,400.